Follow the Tips of the Specialists! Read the advice and tips of our experts with regards to air duct cleaning, maintenance and repair. An HVAC system has a respectable place in our homes due to the fact it provides us with a high sense of comfort. 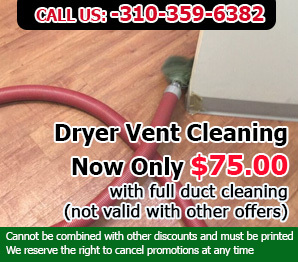 In that event, in order to diagnose any malfunctions, specialists at Air Duct Cleaning Redondo Beach recommend you to have it properly inspected every month. It is well-known that leaky air ducts lead to a faulty HVAC system, case in which its power usage will increase at an exponential pace. Therefore, an increase in your energy bills will be noticeable from month to month. In order to avoid problems like these, give your air ducts a visual inspection as often as possible. The cool, dark nature of ductwork can make it a breeding ground for mold. This can cause mold to be released into your home - and no one wants that. The good news is that mold growth is often clearly visible. Grab a flashlight or a camera with a flash and take a good look into your air ducts. If you see any signs of this fungus within them, you will need to have them professionally cleaned.